When it comes to Yemeni food, Europe is critically underserved. Lebanese, Syrian and Palestinian places dot western European capitals. Their qualities vary. I’ve had some astoundingly mediocre exorbitantly priced Lebanese food in London, for example, though Beirut’s Liza has a branch in Paris and one Lebanese television correspondent I met covering peace talks in Switzerland once swore to me that his favorite shawarma place was by the train station in Geneva (I am unable to provide independent confirmation of said shawarma places’ quality). 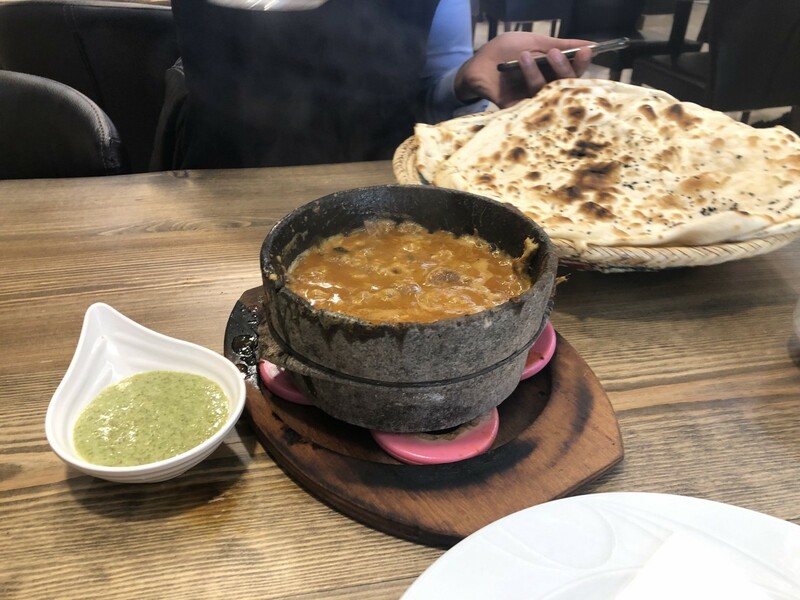 For Yemeni food, however, it’s a struggle to find anything — particularly out of the UK, which has long hosted a large Yemeni community. Overall, I wouldn’t cast it as lifechanging Yemeni food but, especially in terms of its setting, it was certainly life affirming. Walking out to wash my hands after finishing my meal. I surveyed the crowd, looking over at the mix of Yemenis debating the intricacies of the seasonings of the rice to curious walk-ins who couldn’t distinguish between zurbian and a zebra. In a sense, it was everything a restaurant like this is supposed to be — a momentary trip home for some, a momentary escape for others. In short, if in Berlin, its more than worth stopping by. Writer and political analyst focusing on the Middle East with an emphasis on Yemen and the Gulf; fellow @ECFR, @NewAmerica. @adammbaron; adammbaron.com.